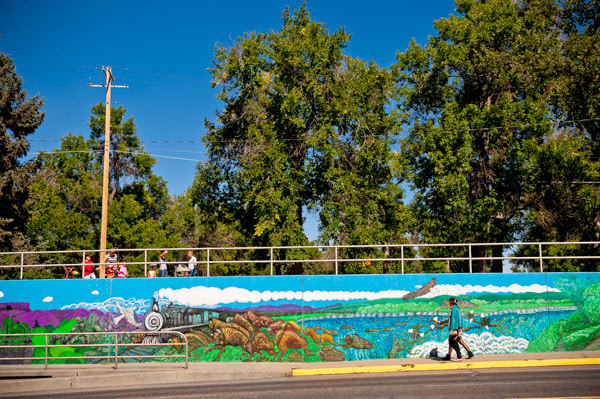 Great Falls is Montana’s Basecamp for Art & Adventure, and when you’re in Great Falls for a few hours, you’ll have plenty of options for art & adventure. 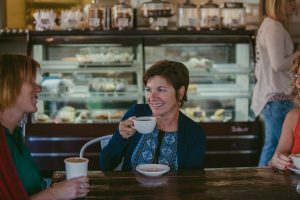 Great Falls boasts Montana’s best Irish Pub, Montana’s best coffee, and is Montana’s pizza capital, so if you only have 12 hours in Great Falls, make the most of your time because you will find 1 tiki bar, 5 falls, 10 museums, 60 miles of trail, and 1,000 adventures! If you drive north or south on I15, east or west on MT 87 or 89, you’ll find yourself in Great Falls. Located in the middle of Montana, Great Falls is an easy place to relax, rejuvenate, and renew your soul on your way to Glacier National Park or Yellowstone National Park. Great Falls is a preferred destination for independent travelers, outdoor enthusiasts, and art lovers year-round, and only Great Falls can offer authentic Montana experiences, whether you have a few hours or several days. When you arrive in Great Falls, one of the first things you’ll notice is the Missouri River (the Mo), that runs through the heart of the city, and is the backbone for Great Falls’ story, history, and legacy. It is because of the Mo that Great Falls is known as the Electric City since Great Falls boasts 5 falls and 5 hydroelectric dams. Today, the Missouri River provides ample opportunities for outdoor recreation and fun. Broadwater Bay, Oddfellows Park, West Bank Park or Wadsworth Park have public boat launches for a leisurely afternoon on the Mo for a few hours. Even if you didn’t bring your own equipment, you can rent a board to explore the great outdoors in Great Falls. Great Falls was founded in the late 1800s, and the Northside residential district is the perfect place for history buffs to enjoy the Victorian-era homes that line what used to be referred to as ‘millionaire’s row.’ Built adjacent to the historic district is Downtown, the heart of the city, and home to shopping, dining, urban art, and unexpected adventure. In a day’s time, you can experience the best of the city; craft beer at the Mighty Mo, modern art at the Paris Gibson Square, Montana’s best coffee, Montana’s best Irish Pub, and Montana’s only tiki bar, all within easy walking distance. 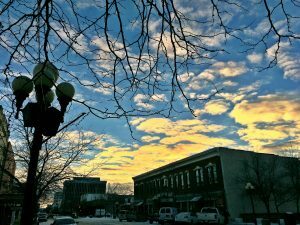 If you’re in Great Falls on the first Friday of each month, you can enjoy the Art Walk that takes you through downtown into galleries, restaurants, and studios to experience fantastic Urban Art. The River’s Edge Trail offers more than 60 miles of paved and unpaved rail-to-trail along the Missouri River. There is more than enough trail to enjoy a bike ride, jog, or walk during your visit. The trails surround spectacular views of the mountains, prairies, river canyons, waterfalls, and reservoirs. 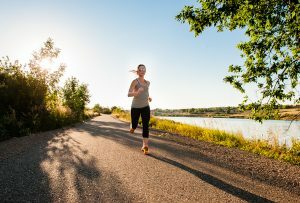 Connecting to Great Falls’ historic downtown, parks, restaurants, and attractions, the River’s Edge Trail is the perfect way to experience Great Falls. 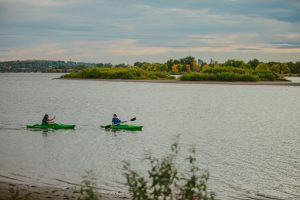 Trail highlights include 24 public art pieces, panoramic views of Great Falls at the Warden Park Gazebo, Singletrack trails built to IMBA standards, Access to the Lewis and Clark Interpretive Center, and the world’s largest freshwater springs and shortest river at Giant Springs State Park. Access to the trail is available from 18 parking lots, and has tables, trash receptacles, and restrooms facilities along the way. Great Falls is Montana’s museum capital, with 10 museums catering to art lovers, history buffs, families, and more. If you’re in Great Falls in early April, you can enjoy all 10 museums for free during the Sunday Sampler, and the Great Falls Museum Consortium gives prizes to those that visit all 10 museums in one day; when my family and I enjoy Sunday Sampler, we pack in as musch art and culture as possible on this wonderful day! Any other time of year, enjoy 1, 2, 3, or more museums as your time allows. 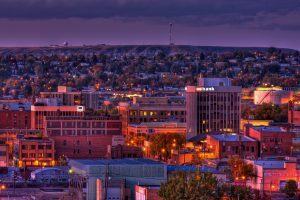 We know you’ll find so many events and experiences in Great Falls that you’ll want to come back for all Great Falls Montana offers, and we are here to help you plan the perfect vacation!